﻿Stop spoon feeding our school students? 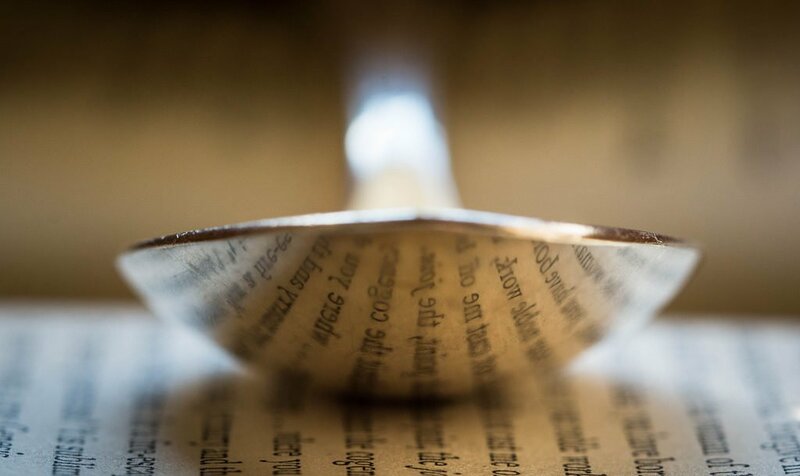 We should stop spoon-feeding our students. To make the article more readable by removing various ‘Australianisms’! ​A rough timeline has been inserted into the text. The podcast audio is included at the bottom of the article. Introduction, Colin asking Richard about his background and journey from face-to-face presenter to 100% online presenter. Colin: You wrote an article and referred to spoon-feeding as any process that robs students of the opportunity to take responsibility for their learning. Before we get to that, what are some of the top techniques used for spoon feeding? Secondly, there is implicit spoon-feeding. Sometimes spoon-feeding occurs both explicitly and implicitly, but often it simply occurs by default - implicitly. It needs to be stated that spoon-feeding tends to be propagated by a teacher-directed approach. I’m not sure how you would foster spoon-feeding in a student-centred environment - I just don’t think that is possible. Teacher-direction, by default, implies spoon-feeding’. The information delivery is controlled and directed by the teacher, and the students are reliant on the teacher to make progress. There can be little real ownership by students over their learning in a teacher-directed regime. Spoon-feeding is so common. Why? Colin: How and why did spoon feeding become so normal? Why do you think it's easy for teachers to do, and for students to accept? Richard: Well, if you go back to the start of modern formal education - i.e. the start of the industrial era - the teachers’ role was to feed people enough basic information to enable them to become productive workers for the new industrial revolution. To state the obvious, I wouldn’t think that collaborative learning and student-centred approaches played much of a role back then! Clearly, information was ‘spoon-fed’. I would propose that this has been a ‘habit’ which we have continued over the last few hundred years and here we are today. And to further answer the question ‘Why do you think spoon-feeding is easy for teachers to do, and for students to accept?’, We have already mentioned that spoon-feeding stems from teacher-directed-ness. Importantly, having students take responsibility for their learning requires a more student-centred approach. So when looking at ‘Why is spoon-feeding easy for teachers to do’?, we are really asking ‘Why are teacher-directed approaches easier for teachers to adopt than student-centred approaches’? The fact is teacher-directed approaches are easier to manage, and teacher-directed approaches are what most teachers are familiar with. And teacher-directed approaches are what parents of our students assume to be part and parcel of a ‘proper’ education. The tide is difficult to turn. I will add though that teaching using a (successful) student-centred approach is way more engaging for the teacher. Consequently, the teacher, after embracing a more student-centred approach, isn’t tempted to return to teacher-centricity. The student-centred approach, although challenging to adopt, becomes easy and natural. The teacher and the students thrive in the resulting engaged learning environment in which students take far greater responsibility for their learning, and this is addictive for the teacher. Colin: What about student buy-in? What if a student doesn't want to be at the centre of learning? So my conclusion is that humans are hard-wired for self-directed learning. I’d genuinely like someone to argue the opposite case because I simply cannot see it any other way. And if I’m correct, then the question has to be asked - why are we still predominantly teaching in a teacher-centric way? So, back to the question ‘What if a student doesn't want to be at the centre of learning?’ Remember, we are referring to the school context here - i.e. this is not about learning a new skateboard trick. My answer is that the only reason a student might not want to be at the centre of his/her learning in a school classroom is because within the school context the student (who does not want to be the centre of learning) would likely have no concept of what that looks like having only experienced teacher-directed-ness. Therefore, such a student will be taking negligible responsibility for his/her learning and may even have a dose of ‘learned helplessness’. Therefore, to such a student the idea of a student-centred approach can only look like hard work rather than an avenue towards engagement and learning-with-fun which a quality, student-centred approach offers. Colin: So we’ve messed it up, right? The teachers are to blame? Richard: No, I don’t want to blame the teachers. Richard: No, I seriously don’t. Given the straight-jacket that teachers find themselves in - namely THE SYSTEM - I think many teachers individually and some schools collectively are doing an incredible job. But within the work that I do with teachers, I support them to find ways to help them create an engaged learning environment and enable students to take ownership over their learning WITHIN the ‘straight-jacket’ that is the system that they find themselves in. Let’s face it, I was a teacher for 25 years, and when students rolled up to my classes they didn’t do so because my classes were their first choice of ‘things to do’. They turned up because it was 10 am on a Tuesday and my lesson was where they were required to be. But even within that structure there are many options for teachers to use which allow students to have a lot of buy-in - creating a need-to-learn in students, to offer choice, to engage and enable students to collaborate. These are the kinds of areas that I explore with teachers through the Learn Implement Share online guided learning journeys. I can hear many readers getting a bit stirred up by this article - What about the severely disadvantaged student? What about the child who has been abused at home? What about the child who has never had a book read to them by school age? What about all the students who excel in our current, teacher-directed education? In response to all the above questions - except for the last one - I’ll stand by my proposal that humans are hard-wired for learner-centred learning. That doesn’t mean throwing a bunch of equipment at them and asking them to learn trigonometry. I’m talking guided, well scaffolded, learner-centric learning. But sure, if we are dealing with an abused child we need to modify the approach and add more scaffolding, more encouragement and more input. But whatever we do, if any disadvantaged student isn’t having an experience of taking responsibility over their learning then I’m afraid to say that little real learning will be taking place. All students need to be experiencing a sense of ownership over their learning for real learning to be occurring. In other words, the learning must be somewhat learner-centric. Colin: So if teachers want to go to a student-centred model and are saying “Right, I’m going to stop spoon-feeding my students - what are their barriers? What are the roadblocks? Colin: How can we best communicate this to parents? Do you think there will be a ‘freak-out’ factor there? Richard: Yes, of course, there will be! Parents can be a roadblock. Richard: In response to that one - all of the Learn Implement Share courses have an aspect where some guidance is offered to teachers that encourages them to embrace a level of student-centred-ness in their teaching. And it is a bit tragic to hear the occasional teacher say “I love this and want to work in a student-centred way, but my Head of Department wouldn’t stand for it”, or “I tried this but received a huge backlash from the parents who accused me of ‘not teaching their Jonny’” In regard to parents it is important to deal with objections before they arise - a meeting or a letter home to inform them of what is coming so as when ‘Jonny’ comes home saying “Miss isn’t teaching us anymore” they actually know what that means and what it is that you are doing. It is called ‘Disarm and forewarn’. My second-to-final comment for this article is to persevere. Remember that a change from spoon-feeding to a student-centred approach which allows for student ownership over their learning is not something that can occur overnight. It takes time. I wouldn’t look for signs of the new approach working in under two months and know that any gains observed at the 2-month point will be surpassed over successive months. My final comment is to not look at the ‘worst’ students to see if the new approach is working. Your ‘worst’ students are likely to be the last to come on board in regards to taking responsibility for their learning. Certainly, take note of how they are faring. However, don’t make the common mistake of saying “It didn’t work - my 3 ‘problem students’ are still my ‘problem students” when in fact the top third of the class are thriving with the newly presented opportunities to own their learning, and the middle third are also generally happy with the change. Slow and steady wins the race. The ‘Silver bullet’ is a myth!